Hyderabad, India: The Telangana Excise and Prohibition department has, in a raid last week, seized substantial quantity of drugs including MDMA or methylenedioxymethamphetamine, commonly known as 'ecstasy' worth Rs 30 lakhs which has a market value of over Rs 1 crore from the drug peddlers. The investigation has revealed shocking details and Excise department believe that the gang was mainly supplying drugs, including LSD and MDMA, to the students, as young as 13 year old, of several high profile corporate and international schools in the twin cities where the children of celebrities, politicians and police officers study. 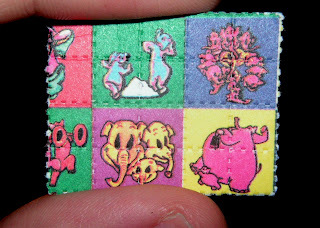 LSD is sold in tablets or in liquid form, and is said to be one of the most potent narcotic drugs while MDMA, commonly known as 'Molly' or 'Ecstasy', is extensively used in parties and were apparently sources by the dealers from the US. The drugs were brought over the Deep Web and paid for in bitcoins. The dealers would revive orders via whatsapp and deliver the products in crowded places such as malls. LSD is sold in small patches or dots which are to be kept under the tongue. The drug is supposed to dissolve in 30 minutes. The excise sleuths got information about after analysing phone details of the arrested, which revealed that hundreds of school and college students were purchasing drugs from them. The officials had seized 700 dots of LSD worth `20 lakh and 35gm of MDMA worth `1.4 lakh from the trio. While the Excise Department has formed a two member special investigation team (SIT) it has also sent instructions to 20 Schools and 16 collage requesting them to sensitize its teacher and students about the issue of 'substance abuse'. It has also asked to watch out 'erratic/deviant' behaviours of students and also monitor the use of cash and cards by students in school premises and nearby shops.